gas industry and agriculture. When the two industries operate side-by-side, it often creates risks for the water shared by both. Among the study’s many findings and recommendations, a key one focuses on the disposal of chemical-laden oil and gas wastewater and its impact on food production. in 2013) may contaminate groundwater used to irrigate food crops — a practice banned in many states but still allowed in California. 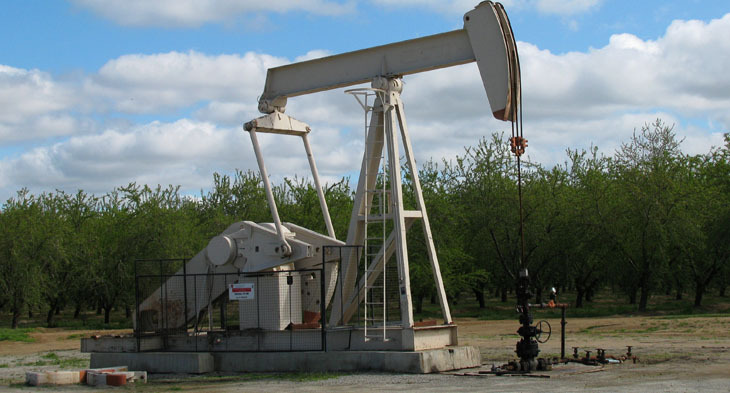 gas production, the study emphasizes the critical need to boost regulations and oversight of water-related risks to the state’s crops and livestock operations near oil and gas fields. “In California, government and industry can and should do a far better job of protecting public health, the environment, and the safety of food,” said Heberger. Download the original study here. The Pacific Institute, as Secretariat of the CEO Water Mandate, played an instrumental role in a number of initiatives related to the COP21 climate negotiations in Paris that resulted in a historic climate agreement. Together, the Mandate, CDP, and the World Business Council for Sustainable Development (WBCSD) launched the Business Alliance for Water and Climate Change (BAfW). The initiatives has 30 business signatories and seven supporting organizations. * Commit to becoming good water stewards by working with the BAfW leading organizations and other collaborative initiatives. 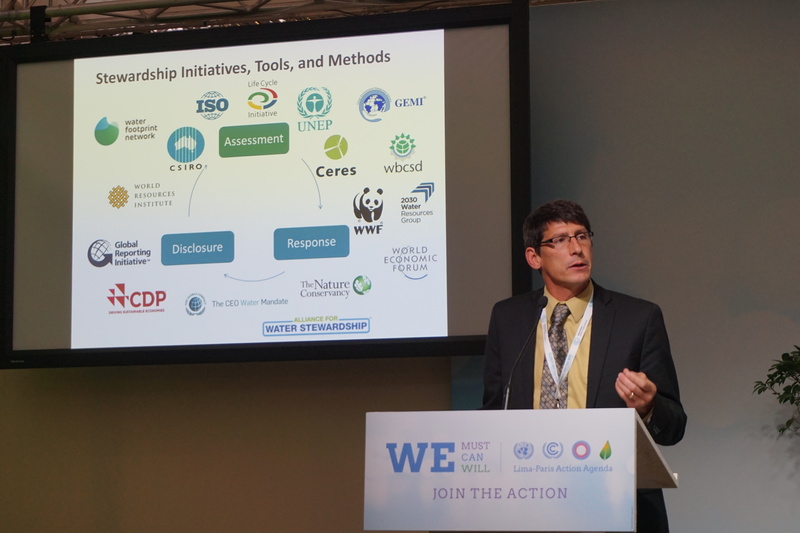 On December 2nd, as part of the French and Peruvian government’s official Resilience Day and Lima-Paris Action Agenda, Jason Morrison, Head of the CEO Water Mandate and Program Director at the Pacific Institute, presented the new BAfW and made the case for the important role water stewardship plays in climate resilience. The Pacific Institute is leading a new CEO Water Mandate project that will explore the role the business community can play in advancing critical issues identified in the California Water Action Plan, in cooperation with the California Water Action Collaborative (CWAC). 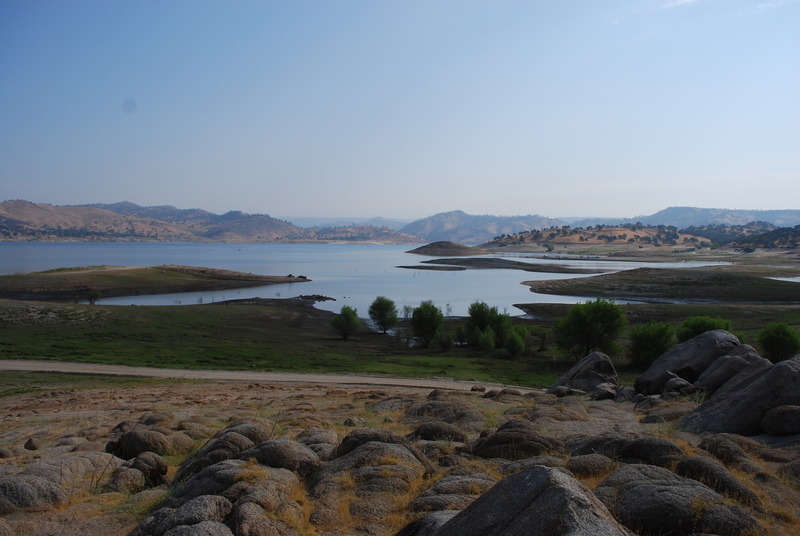 The CWAC is a consortium of nonprofit organizations and food and beverage companies with operations in California that aim to address the drought and long-term water security in California. orking groups, focusing on: 1) building social capital 2) improving groundwater management and 3) returning water to the system. In its first year, CWAC members have deepened their understanding of priority water issues in California, built relationships and mutual understanding, and identified opportunities to improve California water security in 2016. The Pacific Institute, through the CEO Water Mandate, recently collaborated with Caring for Climate (C4C) on a number of papers related to business, water, and climate. 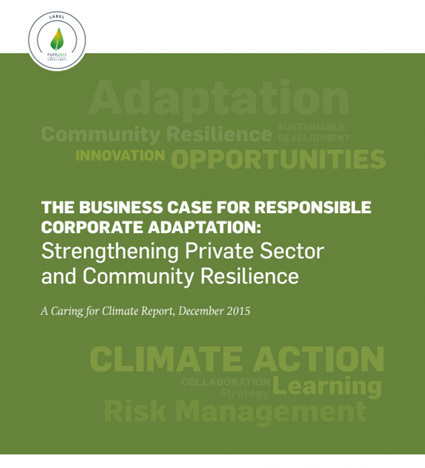 This included the release of the report The Business Case for Responsible Corporate Adaptation: Strengthening Private Sector and Community Resilience at the C4C Business Forum in Paris as part of the COP21-related activities and events. The report shares lessons learned and provides guidance for both public and private sector leaders. It highlights how companies can adapt to climate change and how to address the most pressing challenges that stymie private sector progress. It also includes a number of corporate adaptation projects from around the world that benefit both companies and local communities. Finally, the Mandate and C4C also released a working draft of a briefing note entitled “Climate Change and Global Water Challenges: What Businesses Need to Know and Do.” The paper reviews how climate change affects the water cycle and identifies links with energy production and potential risks to the business community. The paper highlights ways businesses can manage water-climate risks strategically while contributing to the United Nations’ Sustainable Development Goals (SDGs). everyone has the water they need to thrive. On many fronts we will influence water policy and shape the debate calling for equitable and safe drinking water. Your year-end tax-deductible gift to the Rapid Response Fund will give us a boost to tackle water challenges locally and globally. Your contribution today will be matched by a generous friend of the Pacific Institute. On January 13th, Peter Gleick will present at the American Meteorological Society (AMS) Annual Meeting in New Orleans. He will be speaking about climate change, the California drought, and new approaches to water management. In November and December, Pacific Institute staff gave talks and presentations at a variety of public events. For example, Heather Cooley presented on seawater desalination at the California Assembly Select Committee on Water Consumption and Alternative Sources Hearing in Los Angeles, California. *CNN Is the Syrian Conflict Linked to Climate Change? Pacific Institute staff contributes to the Pacific Institute Insights blog, with detailed conversations and critical analysis on sustainable and equitable water management.